Meticulously maintained Estate of over 2 1/2 private acres. 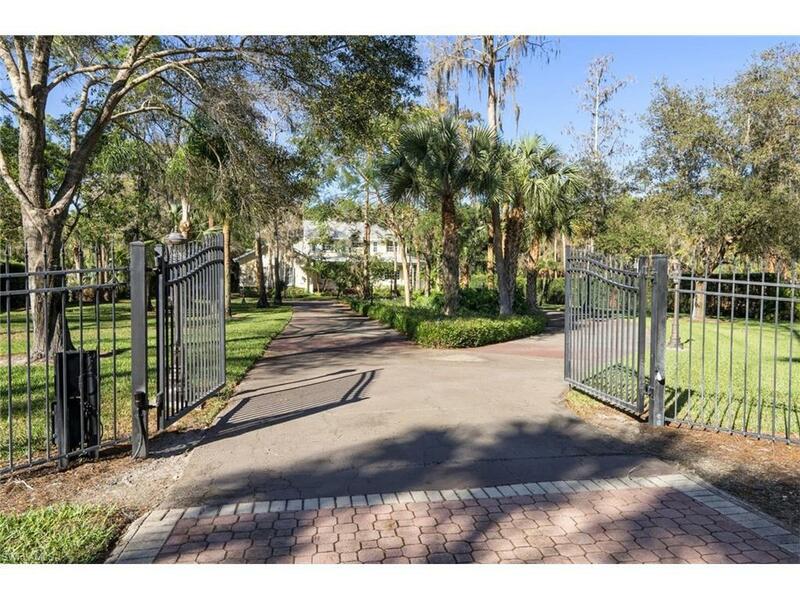 (Fenced & Gated) Security System Full Home Reverse Osmosis Water, Generator with 1,000 gallon buried tank, Hurricane Accordion Shutters. 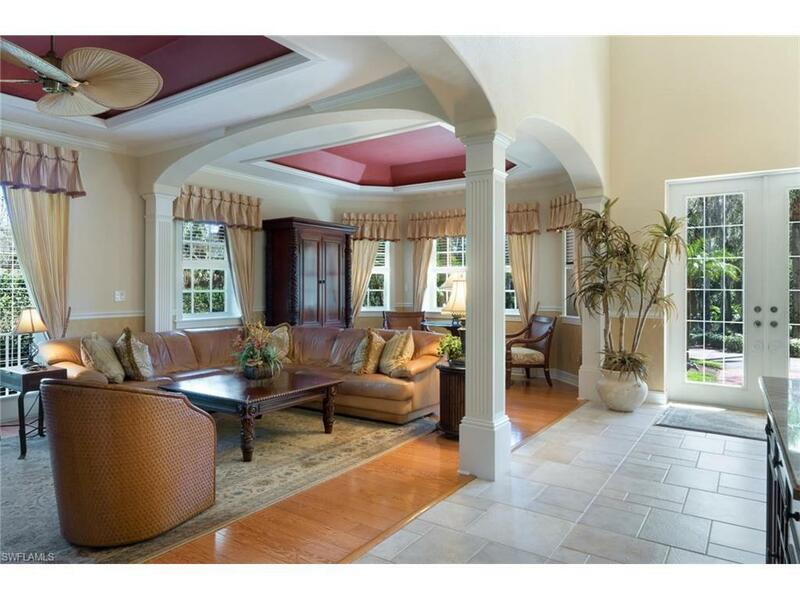 3 Central Air Conditioners, Everything and more than you expected in a Quality Custom Home. 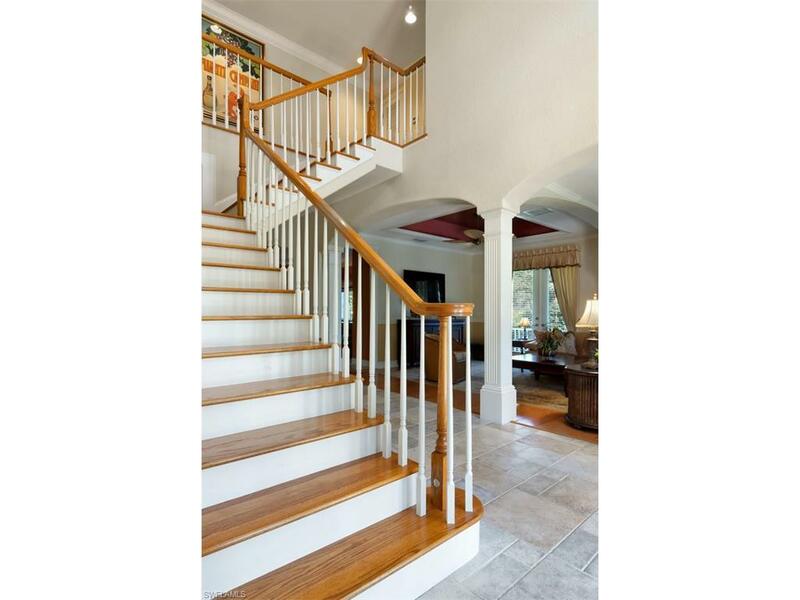 High Ceilings - Crown Moldings -Granite Counter Tops- High Quality Wood & Tile Floors. Heated Pool & Jacuzzi, 4 Bedroom + Den - 3/1/2 Baths plus a Guest House (268 sq ft guest house included in main home square footage) Speakers, Security System, Lights around outside of Home. 3 car Garage plus a car lift with 25 ft of custom cabinets. Master Bedroom on first floor, a Spacious Suite with a Sitting Room and Brick Fireplace, 2nd bedroom also on first floor. The second Floor has 2 Large Bedroom and 2 Baths plus an office or den. 2 Storage Buildings on property. Home is concrete Block Construction with Decorative cement board. 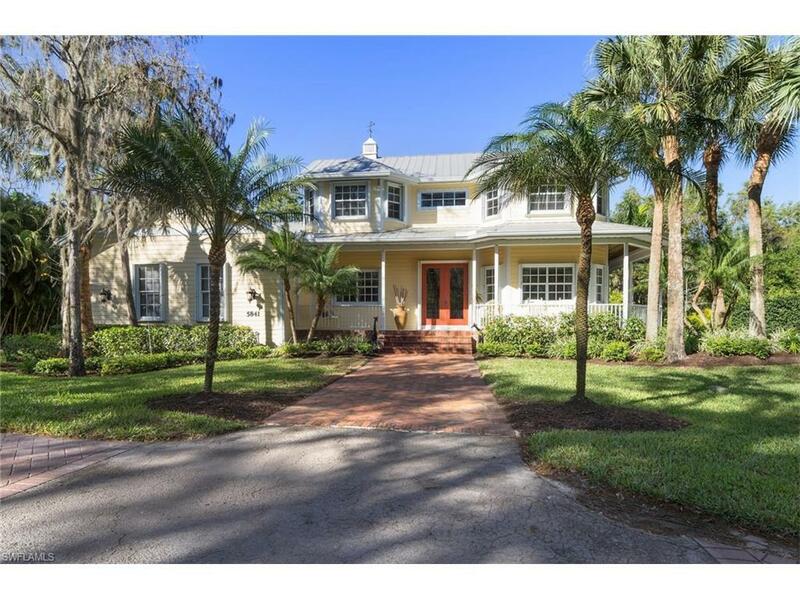 Wonderful school system (Poinciana, Gulfview Middle, Naples High) New air conditioner and hot water heater in 2018 Seller has purchased another home.